How Exciting Is This?? | sew. quilt. explore. | modern quilting | tutorials: How Exciting Is This?? So I couldn't help but post about this because you all will understand, no one else does!! So I'm in Minneapolis for a couple of days for business and on one of the blogs I follow I saw a mentioning of the Minneapolis' MQG meeting being this week. I thought to myself that it was too good to be true, but low and behold... their meeting is tonight!! And I'm here tonight!! And I'm TOTALLY going, and I am SOOOO excited. I currently live in Dallas, TX and might be moving to Minneapolis so this is a great opportunity to meet some of my maybe new friends!! Yay! I'm going to brave the foreign bus system, it's a pretty straight shot from my hotel it looks like, about a 30 minute ride, no transfers or anything. I'm excited. I will make sure to take pictures and post about the experience. I wanted to keep it simple, knowing her style but also wanted to try something I hadn't done before. I think this is a good compromise. 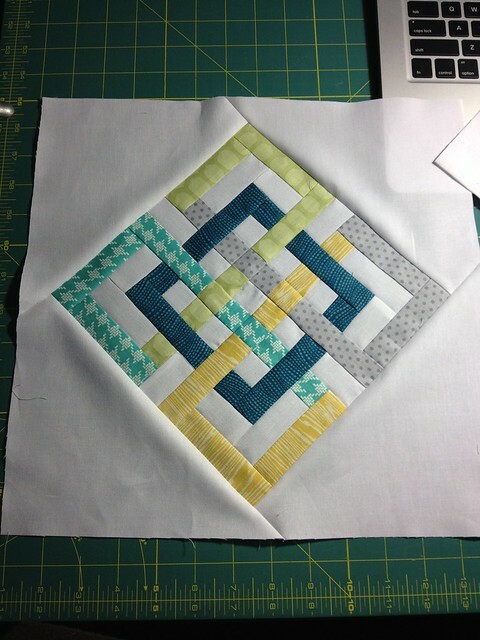 I plan on doing a couple of rows of 1in finished square borders. I'm debating on whether or not to add some hand stitching or just keep it simple and straight line quilt it. Maybe inspiration will hit me over the head with something in the next week. Until then, have a wonderful cold weekend! 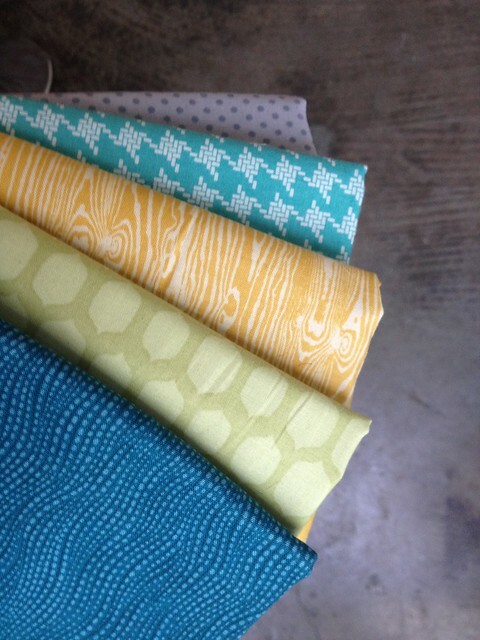 Yay - I totally understand the excitement of finding a Modern Quilt Guild meeting! Wow, your block is gorgeous! Did you make up the design yourself? How exciting! Minnesota is a good bit different from Dallas weather-wise! Beautiful block! Hope you have fun at the meeting.